During my recent visit to Ladakh, I stayed at the Padma Home Stay in Spangmik Village on the banks of Pangong Tso Lake for Rs. 1,300 a night (including dinner and breakfast for 2). Here is a brief review of my stay there. After checking out various options in Spangmik, we arrived at Padma Home Stay. 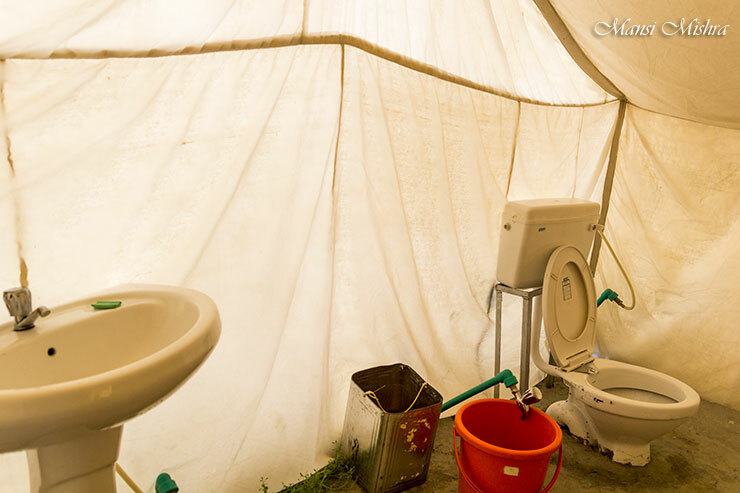 Since their rooms did not have attached toilet, so we decided to stay at their tents. Situated only a short distance away from the lake, there were no tents or buildings between their tents and the lake. Hence unlike the other places we had checked out earlier, we had an unrestricted view of the Pangong Tso, of which we took full advantage of the next morning. The tents themselves were fairly basic and each tent had 3 beds (a double bed and a separate single bed) along with the attached toilet. Since the concrete structure on which the tents were made was built on a slope, it wasn’t properly leveled and was instead slanted. Due to it, be it the bed or the toilet, everything was slanted and that made sleeping on the bed a little comfortable. 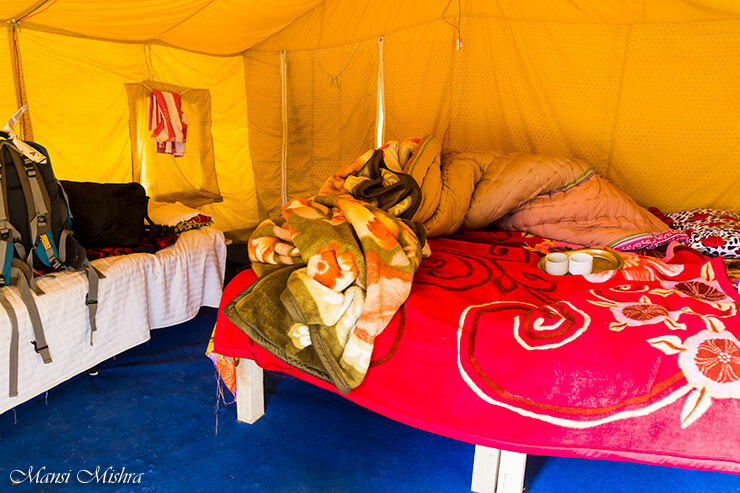 Then again, another luxury tent costing Rs. 2,500 I had seen a few minutes ago had a similar issue and the view from there was pretty bad. The other issue was that their toilet seat was quite low, so you were actually squatting on it rather than sitting. However, there was running water and we did get hot water in a bucket early in the morning. 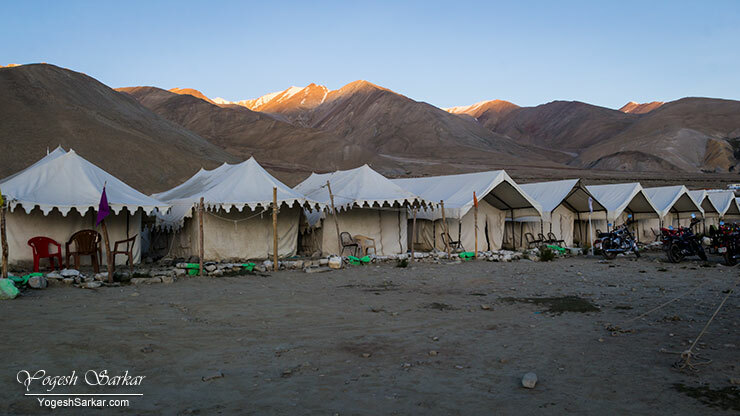 Even though night at Pangong Tso was uncomfortable due to AMS, tent itself managed to stop majority of the wind and I didn’t feel all that cold while sleeping. Even though we got the tent for Rs. 1,300, we later learned that we could have easily shaved off another 100 bucks from the price, had we bargained a little more. On the plus side, the person running the guest house was fairly good and served us tea and hot water to get ready at 6:30 am. Food at Padma Home Stay was fairly basic and mostly bland. In terms of food, Pangong Villa, where I had stayed last year, was a much better bet. But then again, their rooms were Rs. 2,000 a night and we were on a tight budget. Overall, despite all the shortcomings, I really enjoyed my stay at Padma Home Stay. 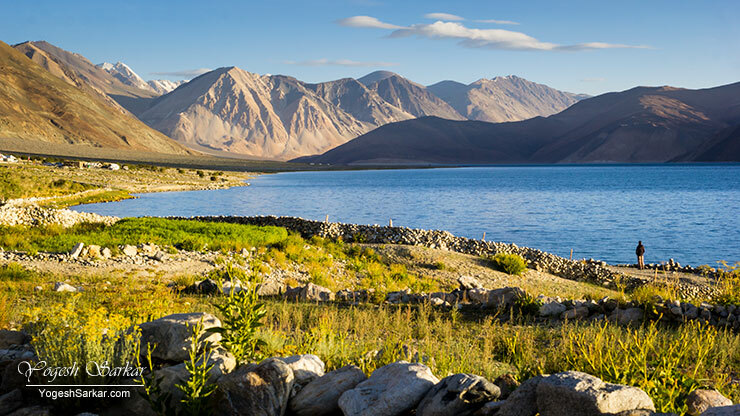 Mainly due to the fact that I could easily walk down to Pangong Tso in the evening and shoot photographs like these in the morning, without venturing out of the tent complex. For booking you can contact Padma Home Stay at 9469515696 and 9469059322. 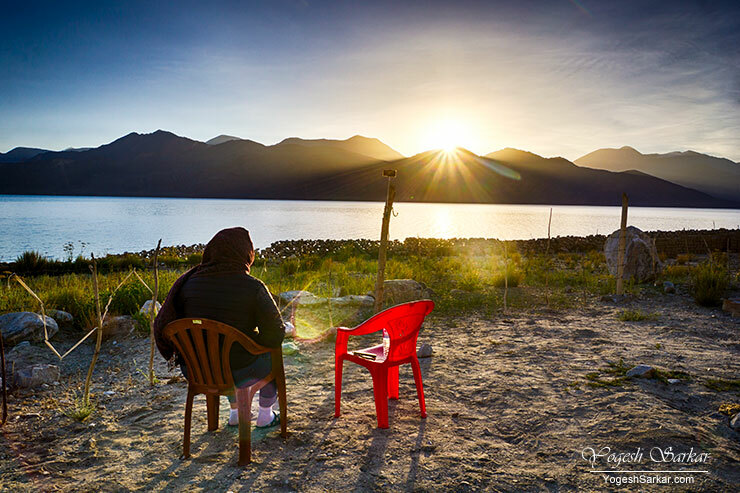 Though it is best to just arrive at Pangong Tso well before sunset and bargain on the spot for best deal. Would you advise for a couple ? Will it be safe ? No issue at all, completely safe. 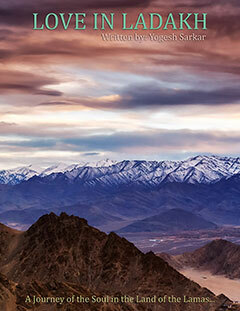 Anytime of the year is good for visiting Ladakh. If you wish to see frozen Pangong Tso, then go in February. If you wish to visit it during relatively warmer months (temperature can still dip below zero degrees) then July and August are best bet. 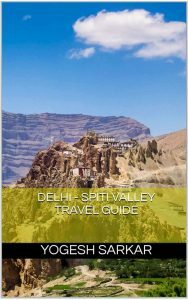 Ladakh eco-tourism policy; step in right direction? Manali – Leh vs. Srinagar – Leh, which route to take?